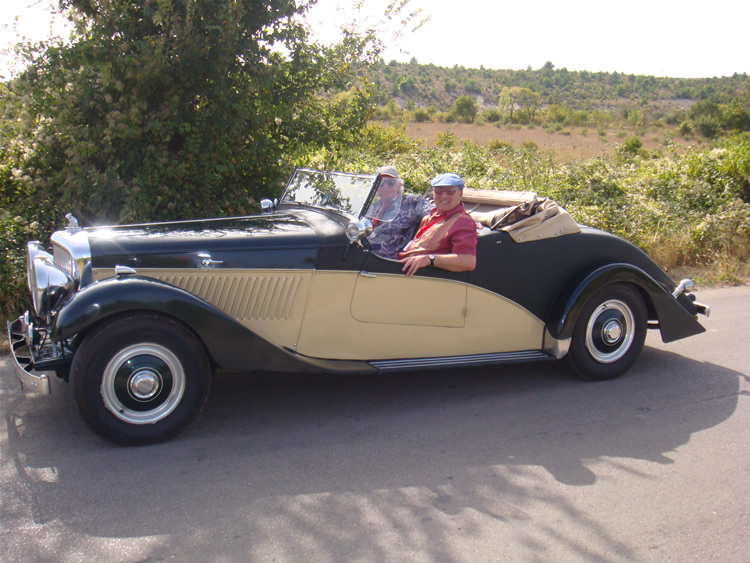 All Country Lane Tours are designed to be a holiday with a vintage or classic car. Daily mileages are frequently low, numerous halts are at least two nights, and for peace of mind Italy, Croatia and Scandinavia tours have a service vehicle and experienced mechanic in attendance. Of course, I accompany every tour to deal with any problems that might occur. A comprehensive information pack is prepared and mailed out for each event and in the case of Italy, Croatia and Scandinavia there are DVDs of previous tours included so you have full details of what to expect. Whilst you can get a taste of the tours on the site, why not join the mailing list by completing the form on right? Or you are welcome to call Ian, on 01824 790280 for a chat. You’ll then get direct updates on tours as they become available, and, best of all, if you’re enquiring about Italy, Croatia, or Scandinavia, you’ll also receive a FREE DVD of the relevant tour. There’s no obligation to actually go on one!